General Motors has a reason to preen over the results of the Michigan State Police vehicle evaluations. 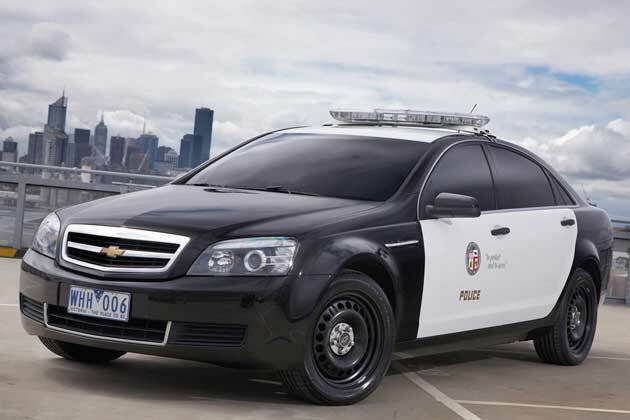 The Chevrolet Caprice PPV managed to eclipse its competition in top speed and braking tests. The Caprice PPV managed to scoot down from 60 miles per hour in just 125.8 feet, which is a full four feet shorter than the equivalent Ford Interceptor Sedan. Likewise, with a top speed of 154 mph, the protect-and-serve Bowtie boasts a top speed that's 6 mph faster than the 148-mph Interceptor. While that's impressive, we're more terrified by the fact that the Chevrolet Tahoe PPV managed to ratchet up an astonishing 139 mph. That's what we call a flying brick. The Chevrolet PPV Sedan gets its power from the company's 3.6-liter V6 engine and lays it to the pavement by the miracle of good, old-fashioned rear-wheel drive. While Ford claims that the company's forced-induction V6 garners better fuel economy with equivalent performance, it will be hard for most law enforcement agencies to brush past the PPV's taller top end and shorter stopping distance. Hit the jump for the press release.